Kimono. It is a well known Japanese traditional clothing which many of you have already known. 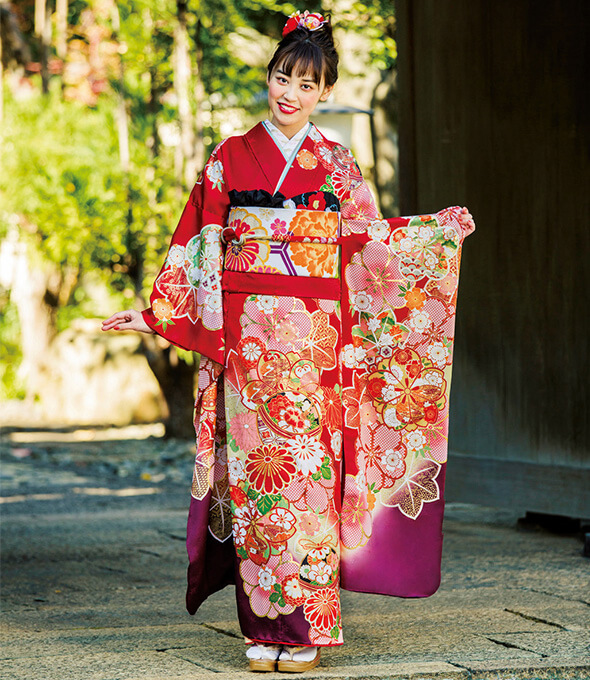 However, did you know Kimono has different types and each of it has specific people to wear it? 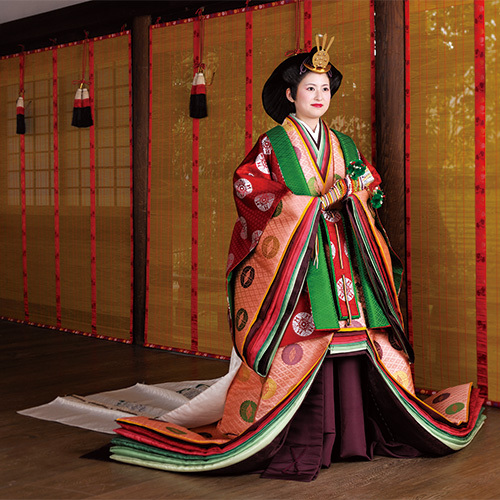 Juni Hitoe is a twelve-layered ceremonial costume worn by court ladies in the Heian period. It was believed at court that multi-layered clothing gave a higher sense of dignity. Today it is worn by Imperial princesses at their weddings. In addition, there is a distinction between the kimonos worn by women who are married and those who are not. Married women wear Tome-sode, which means fixed-sleeve kimono.The most formal Kimono is a tomesode in black and other tomesode has color on it. A black tomesode carries the family emblem at the shoulders and is gorgeously patterned at the bottom using gold and silver threads. These days, bridegroom’s mother wears Tome-sode in black when her son got married. Furisode is a formal kimono for unmarried women. The special feature of furisode are the long sleeves. It has sleeves almost 1 metre long, and it give the most spectacular impression out of all kimono types. 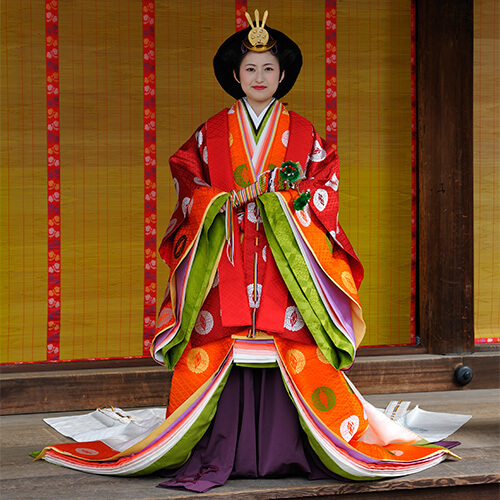 Wearing furisode at a coming of age ceremony symbolizes a fresh start in the life. Yukata is a casual and single-layered cotton kimono. Compared to Kimono, it is easy to put on and not to heavy to walk around. Originally, Yukata was a in-room wear we worn after we take a bath like a bathrobe. Therefore, some people used to avoid wearing it when they go out. However, people started to wear yukata when they go to informal events such as summer festivals and firework displays in the Edo period. 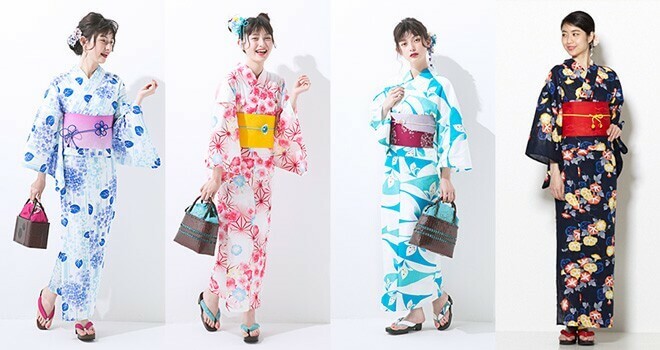 And now, it is common to we wear yukatas when we have traditional summer event such as Bon-Odori, fireworks and festivals. Above all, the most famous place to wear yukata is Ryokan (Japanese style inn). Every one can get Yukata and you can wear it after taking onsen. Hakama is a divided or pleated skirt worn over a Kimono.They were originally worn only by men, but today they are worn by both men and women. Hakama are tied at the waist and fall approximately to the ankles. 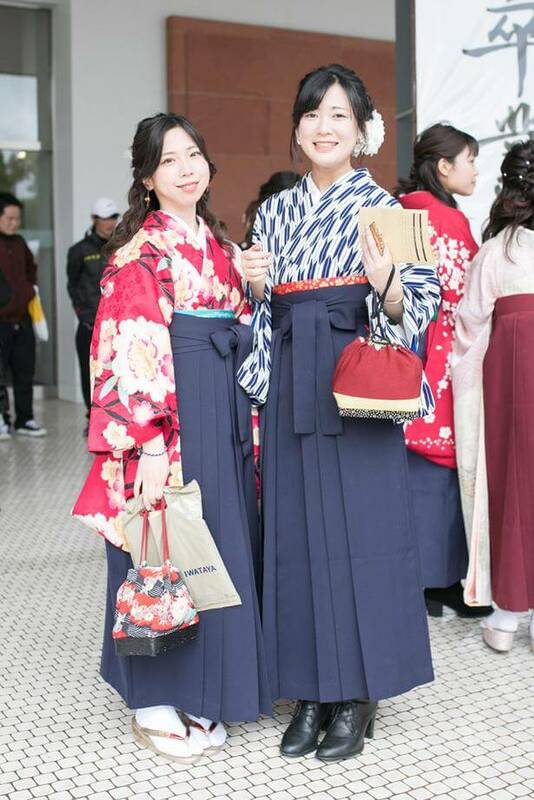 While men's hakama can be worn on both formal and informal occasions, women rarely wear hakama except at graduation ceremonies. 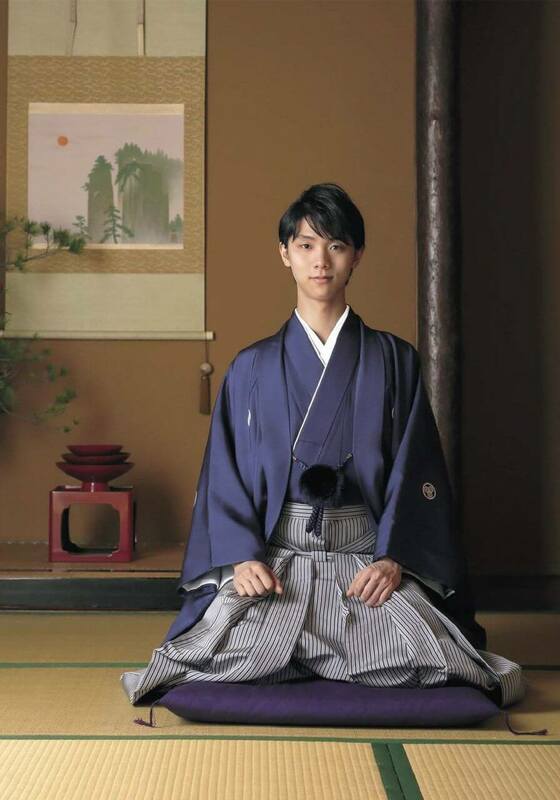 (Left: Olympic gold medalist Yuzuru Hanyu wearing Hakama.